What Major Life Events Should Prompt You to Consider Estate Planning Again? It has often been said that far too many people don’t have the necessary estate planning tools prepared and therefore put them and their family members at risk of problems after you have passed away. Some of these estate planning mistakes can add additional time or could cost you money but it is important to realize that major life events should encourage you to schedule a sit down with your estate planning lawyer. It is all too common to see families with large amounts of wealth attempting to manage their own money. However, a terminal diagnosis or a career milestone can change things. Major life events such as a divorce, getting remarried, the birth of a child or new grandchildren can all spark the need for professional expertise. If you have been in do-it-yourself mode for a long period of time, that may no longer be effective as you work to shift towards future goals. You must accommodate for the additional complexity now included in your life and the only way to do this is to schedule a consultation with a knowledgeable estate planning lawyer who is highly familiar with your individual situation. 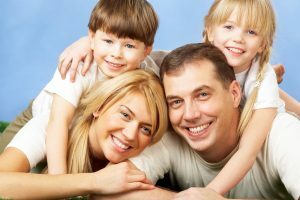 An experienced estate planning lawyer can advise you about strategies and tactics that are designed specifically for your individual needs and can ensure that you have peace of mind about what is required in terms of estate planning and how your goals and strategies must shift as your life needs change. When you work with an estate planning lawyer on a regular basis and revisit your plan as life events emerge, this gives you the potential to avoid problems such as failing to update beneficiary designation forms and can ensure that you have all of your questions answered as they emerge. Minimize the potential for mistakes by scheduling a consultation with an estate planning attorney who cares about you and your family’s future.